Some very smart people are saying some spectacularly misinformed things about the Burj Khalifa, the new world’s tallest building in Dubai. Among the most ill-advised of the assertions: Frank Lloyd Wright’s proposed Mile-High Illinois skyscraper had a major influence on the design. And I have that from two very well-informed sources: The chief architect of the Burj Khalifa, Adrian Smith, and the chief engineer, Bill Baker, both from Chicago. Instead of assuming that the superficial similarity between the designs—both supertall, superskinny, with jagged silhouettes—is evidence of a genuine influence, I thought it would be wise to ask the designers themselves. 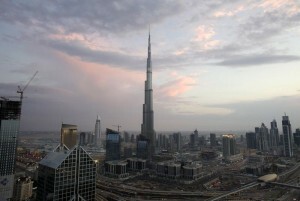 “The Mile High did not influence Burj,” Baker wrote in a brisk email from overseas. Smith had told me the same thing weeks ago. Wright unveiled his unlikely plan for the Mile-High Illinois (left) at a 1956 press conference in the ballroom of the old Sherman House in downtown Chicago. He stood in front of a 26-foot-tall canvas, which almost reached the ceiling. The plan was technically unfeasible and was never built. But it quickly became a part of architectural lore—the supreme standard of vertical outlandishness and neck-craning beauty. Naturally, when the half-mile-high Burj Khalifa made its debut last week, commentators went off to the races to compare the two, whether they loved or loathed the new tower. The cracks in the argument begin with Rybczynski’s comparison. While his formal analysis is correct, his attempt to find structural similarities between the two skyscraper is deeply flawed. The Burj Khalifa’s internal structure isn’t a simple treelike core of concrete that rises the full height of the building. The concrete core only reaches to the tower’s 156th floor. After that, steel trusses take over, rising at least another 600 feet. A steel spire — a giant metal pipe — extends through the unoccupied middle of the structure up to the final height of 2,717 feet. As Smith told me in an email today, the real influences on the Burj Khalifa begin with Ludwig Mies van der Rohe’s radical unbuilt plans for glass-sheathed towers, designed in 1921 while Mies lived and worked in his native Germany. The first of these visions, known as the Friedrichstrasse Office Building, called for three angular glass towers linked to a common core. The second, called the Glass Skyscraper (left), consisted of three free-form lobes that, from the top down, resembled “a pool of spilled milk,” as Mies’ biographer, Franz Schulze once wrote. But Mies’ designs had little to with function. They were simply abstract—and stunningly beautiful—studies of the possibilities offered by an all-glass tower. A more practical influence on the Burj Khalifa would come from Chicago’s Lake Point Tower (left), the glass-sheathed, Y-shaped skyscraper completed in 1969 to the design of the Chicago architects George Schipporeit and John Heinrich. Both had worked for Mies, who emigrated to Chicago in 1938 to head the architecture program at what is now the Illinois Institute of Technology. Like the three-lobed Burj, whose principal functions are a hotel and condominiums, Lake Point Tower is a residential structure designed for ease of constructability. Its three wings create narrow floor plans that keep residents close to windows and views. 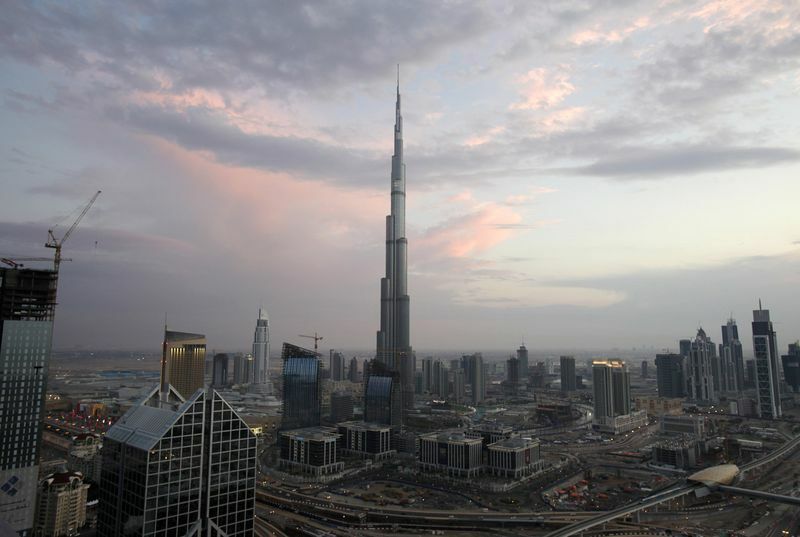 It, too, was a record-holder–the world’s tallest reinforced concrete building and (for 25 years) the world’s tallest all-residential building. The last step to the Burj came in the Smith-led, Skidmore, Owings & Merrill design for the Tower Palace III skyscraper in Seoul, South Korea (below). Completed in 2004, the 73-story tower can be considered a kind of little brother to the Big Daddy in Dubai—an iconic, glass-sheathed residential tower with, yes, three lobes. Further distancing the Burj (far below) from the Mile-High Illinois, Smith noted the spiraling pattern of setbacks on his skyscraper, a detail that does not appear in Wright’s plan. That “was my idea, not Wright’s,” he wrote. To be sure, all architects have a tendency to regard their designs as original and to deny the influence of others. But Smith and Baker aren’t doing that: They’re saying that architecture’s chattering classes are citing the wrong influence for the Burj Khalifa. The real influence has more to do with Mies than with Wright.